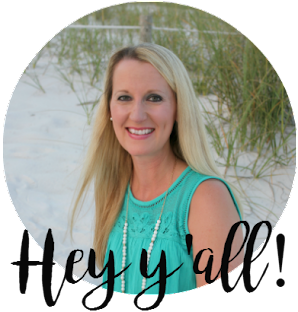 So far, I’ve shared with you two of my three keys to survival as a full-time working Momma – staying on schedule (you can read about it here), and good time management (you can read about it here and here). In this post I’ll focus on the third and final (and in my opinion, the most fun) thing that helps me stay afloat – being organized. I truly believe that I was born to be an organizer. From a very young age, I have always liked for my space to be neat and tidy, for everything to have a place, and for everything to stay in its place. (Ask my brothers… they used to go in my room and move things around slightly just to see if I would notice. I always did.) I can remember looking at the kids’ rooms in the JC Penney catalogs when I was probably eight years old and trying to make my room look as organized and pretty as the rooms in the catalog. Simple things like planners, notebooks, sticky notes, storage containers, and labels get me (almost) as excited as Christmas day. I like pretty things, plain and simple. And good organization = the prettiest! We now have four people in our family, and that’s a lot of different schedules, appointments, and reminders to keep up with. Plus, our kids are sick all. the. time. 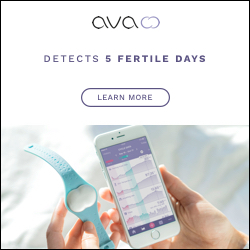 (it’s ridiculous, actually), so that means endless doctors’ appointments. Jacob alone has a pediatrician, an ENT, an allergist, and a dentist. Absurd. 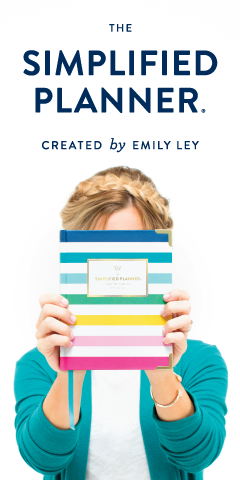 To keep track of all of this (and to prevent my brain from exploding), I use two basic tools – my Erin Condren Life Planner and my List Master App on my iPhone. It’s split into monthly views as well as weekly views, and the weekly views have a box for each day. I use the monthly views to keep track of all appointments, birthdays, anniversaries, reminders (change contact lenses, change air filters, give Maui heartworm medicine, etc. ), vacation, and school holidays, etc. so I can have an overview of each month all on one page. Having all of this information on the monthly spread makes it easy to find information from prior months if I need to retrieve something later on. This entire two-page spread will be slap full by the time November actually gets here! Not much filled in yet, but by the time I get done with these two pages they will be completely covered! I have a Long-Term To Do List that I maintain in an Excel spreadsheet, and I keep a printed copy of the list in the back pocket of my planner so I always have it on hand as well. My planner is the center of my organizational world. If it were to ever get lost I would probably crawl in a hole and never come out. I love it because it allows me to keep everything in one place so I’m not stressing out and wondering if I’m forgetting something important. Sometime in the near future I will be doing a more in-depth post on how I use the planner, so if you're interested, be sure to subscribe to my blog so you don’t miss the post! It’s kind of like having Microsoft Excel on your phone. And if you’re anything like me, you love the mess out of some Excel because the organizational possibilities are endless! 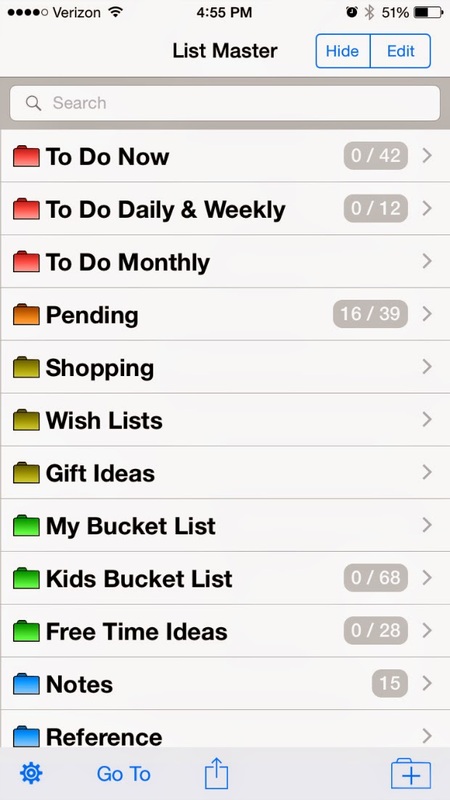 I use this app for all of my personal reference lists – lists that I use on a constant basis that I like to always have with me. It includes a To Do Now list which I use to dump all random things that pop into my head at inopportune times until I can transfer them to my planner. It also includes monthly tasks (which are transferred to my planner each month), wish lists, shopping lists, gift ideas, important things to remember (medications that the kids don’t tolerate well, clothing sizes for people we buy for frequently, etc. ), and restaurants we love, etc. This app has helped me keep every aspect of my life organized, which gives me a sense of control… which I like, since I’m controlling. ;o) I could go on and on about it, but I’ll save all of the details for the in-depth post that I am planning to show in better detail how I utilize all of its functions. Pantry – keeping the pantry organized allows me to find things quickly when I'm cooking, and it enables me to quickly see what needs to be added to my grocery shopping list. Kitchen Cabinets & Drawers – nothing is more frustrating than being elbow deep in raw chicken and not being able to find the mallet or a particular measuring spoon. Keeping the cabinets and drawers organized allows me to be more efficient (and keeps my sanity intact) while cooking. File cabinet – I have a file cabinet in my office to hold all of our personal paperwork (bills, medical paperwork, taxes, etc.). Keeping all of this stuff organized is important for obvious reasons. Hello, tax audit!! Clothes Closet – You know how sometimes you find something buried under a heap of stuff in the back corner of your closet and it still has the tags on it from two years ago and you’ve never even worn it? Yeah, that never happens to me. If I buy something, I’m going to wear it! I love clothes. A lot. And I have a lot of them. As well as shoes, belts, scarves, necklaces, bracelets, earrings, handbags, and every other accessory you can think of. If I didn’t keep my closet well organized, I’d drown in the scarves alone. I love fashion, and I love to create lots of different combinations of outfits, so I it’s best to keep my closet organized so I can easily see everything that I have. 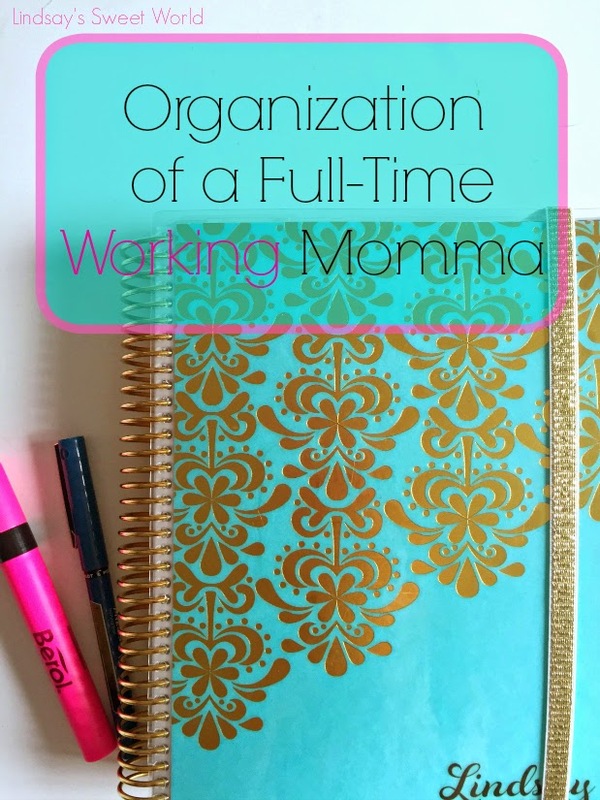 Life as a full-time working momma is hectic, but a little bit of organization goes a loooong way and saves oodles of time in the long run. I hope you’ve enjoyed my posts about being a full-time working momma. Whether you’re getting ready to go back to work after maternity leave, or just dabbling with the idea of going back to work full-time after staying home with your kids for many years, I hope this series has helped provide some insight and advice on how to juggle it all. You can do it, Momma! I'm trying to decide what EC planner to order. I'm so excited about the horizontal option.